Follow Ruth Maude’s board All Things Encaustic on Pinterest. Follow the board then add a comment here with a link to your Pinterest profile. I then will manually add you to the board. Happy pinning! I would like to be part of the pinterest group. 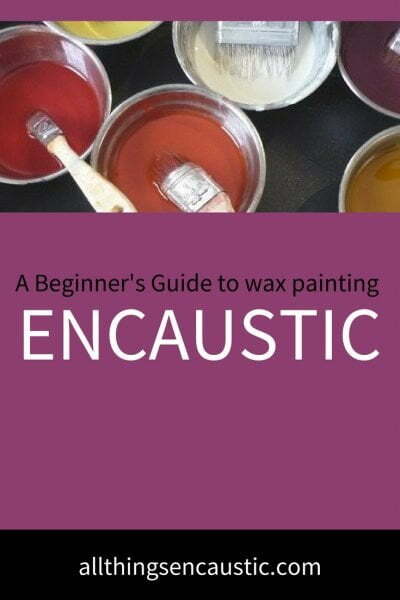 Hello ~ I’m looking forward to sharing and having my eyes drool over All Things Encaustic. I am so glad to find this site! Your work is very inspiring and I just love the way you have combined web design with encaustic art, perfect match! Thanks! The site is great. Always good to see and hear what others are doing with encaustics. Hello, You have amazing boards of arts. I am a full-time artist and would really love to contribute your “Encaustic Art | All Things Encaustic” board. If you are accepting any new contributors to your group board, would you mind sending me an invitation? I will abide by the board rules and regulations. Thanks in advance! Welcome to the board Paul. The only rule is that all pins need to be about encaustic. Please check pin links before repining. I’m looking forward to exploring this site! This board will be wonderful inspiration! I’d like to contribute here too. It will be lovely inspiration for all of us. I’d love to be part of this inspirational group.